Robert is a dedicated child advocate and native Texan. Robert attained his S.B. in Molecular Biophysics &amp;amp; Biochemistry from Yale College in 1989. He graduated from medical school and completed residency training in pediatrics at The University of Texas Health Science Center at San Antonio (UTHSCSA). 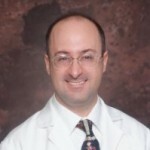 After fellowship training in pediatric endocrinology at The Children&rsquo;s Hospital of Philadelphia, Robert served full-time on the faculties of UCLA, then UTHSCSA (tenured in 2005), and most recently The University of Tennessee Health Science Center at Memphis, where he attained the rank of full professor during 2010 (tenured 2009). Board-certified in pediatrics, pediatric endocrinology, and disaster medicine, he is a prolific innovator whose research focuses primarily on diabetes.Robert deployed twice to Iraq as an Army field and brigade surgeon and conducted training missions in Italy and Chile. He also deployed thrice to Iraq as volunteer faculty with the US Department of State, providing professional development to Iraqi physicians. After a recent command tour, Colonel Ferry is now the State Army Surgeon for the Texas Army National Guard.